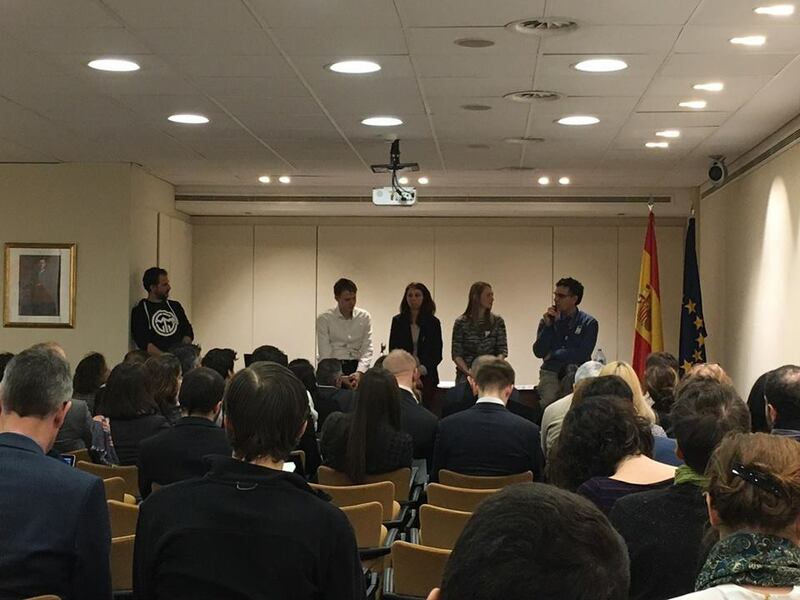 The whole day conference ‘Startup Europe After 2 Years’ #SEA2Y took place on the 2 February at the Permanent Representation of Spain in Brussels. The event took off at 9.30am, moment in which Gerard De Graaf, head of Directorate F at DG CONNECT, greeted the startup initiatives and their achievements and welcomed the over 200 people who attended the event. Gerard De Graaf, Juanma Revuelta and Mike Butcher opening the conference. Straight after the brief presentation the audience was blown away by the incredible startup data collected by Dealroom, StartupHubs and Nesta, just to mention a few. Don’t you worry if you couldn’t make it to the event, we have all the slides on Startup Europe Slideshare! However, you’ll be missing the interventions provided by the excellent moderator Mike Butcher, ‘Editor at Large’ at TechCrunch. The morning session finished with some short talks on the internationalization of Startups at the European level and was capped off with a showcase of the best policy practices to support startup ecosystems across Europe. The Startup Visa was one of the hottest topics mentioned, but we also looked at more grass-roots challenges, calling for an open culture. After a quick look at Startup Europe Awards – Best Public Administration – and the new initiatives that feed on Startup Europe e.i. the Startup and Scaleup Initiative, we all delved into an intense afternoon filled with the Startup Europe projects results and impact, summerised in short pitches which you can find on the Startup Europe slideshare and on our website. Krisztina Toth presenting MyWay results and impact. The 5-minute pitches were opened by a quick panel led by the Startup Europe team at the European Commission and its communication agency, HuginΜnin, which is in charge of the website, The One Stop Shop and of bringing under one umbrella all the projects’ activities and events. Bogdan Ceobanu, Francesca Monaco, Charlotte Tucker and Isidro Laso presenting Startup Europe great achievements. Once the results were shown, the Startup and Innovation team at the EC explained how to apply to the next ICT32 Open Call ‘Startup Europe and Innovation Radar’, which, by the way, there are about 2 months left to apply! The event proved to be a great opportunity to connect with other important members of the entrepreneurship ecosystem. And hopefully great partnerships were formed to propose great projects for the ICT 32 call!